Here is a typical story or word problem. Dakota helped her father bake cookies. They baked 9 sugar cookies and 3 chocolate chip cookies. How many cookies did they bake total? 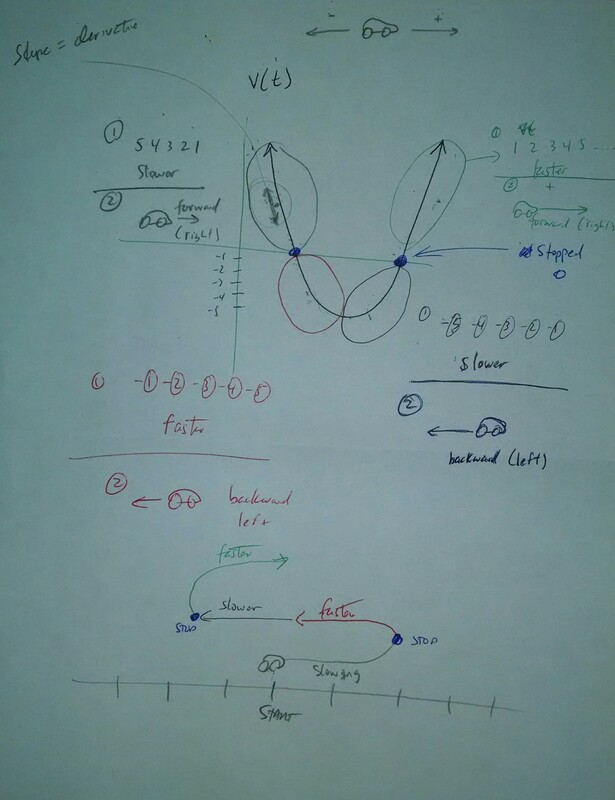 When solving word problem the focus is often on following steps, e.g. read the problem and identify important information. There is also a focus on identifying key words, e.g. “total.” The problem with both is they rely on rote memorization. How do we identify “important” information? Focusing on the word such as total does not address the concept of total but is more of a signaled command like “sit.” Students see “total” and they know they are supposed to add. The problem is they often don’t understand why. The entry point to word problems should be a focus on the underlying concepts. 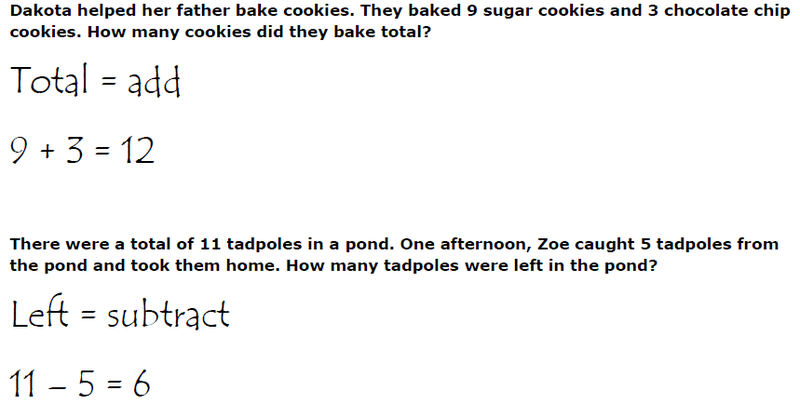 For example, present the word problem with cutouts of the actual cookies and physically demonstrate “total” by pulling all the cookies together. Similarly, you can have cutouts of the tadpoles and demonstrate the concept of how many are left. Words are symbolic representations of ideas. Same with math symbols (below). Addressing the concepts, vocabulary and the process with this approach is a concrete-representational-approach (CRA). The equations below would not be addressed until the conceptual understanding was developed. When word problems presented do not include the term “total” the student can process the context as opposed to being reliant on the signal. 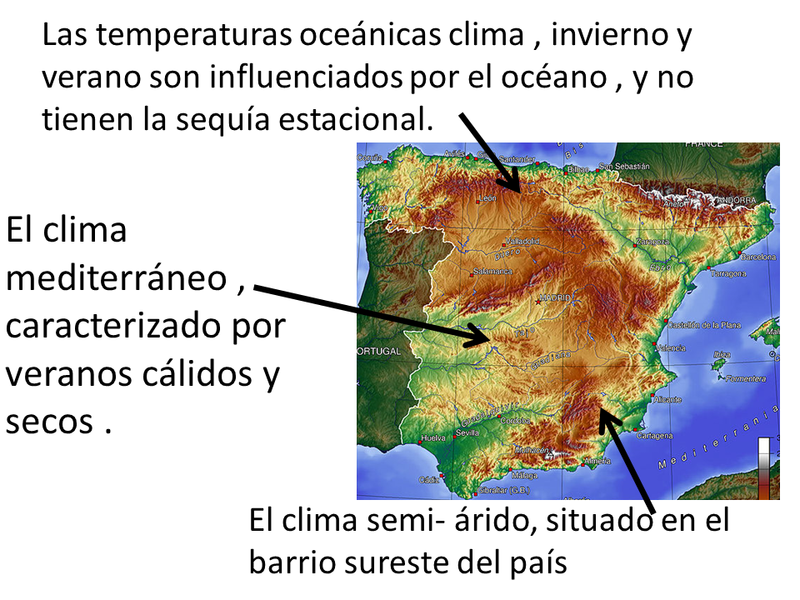 Imagine being asked to explain the climate in Spain and the photo above is the resource you had to use. If you didn’t speak Spanish this would be a challenging task for two reasons. 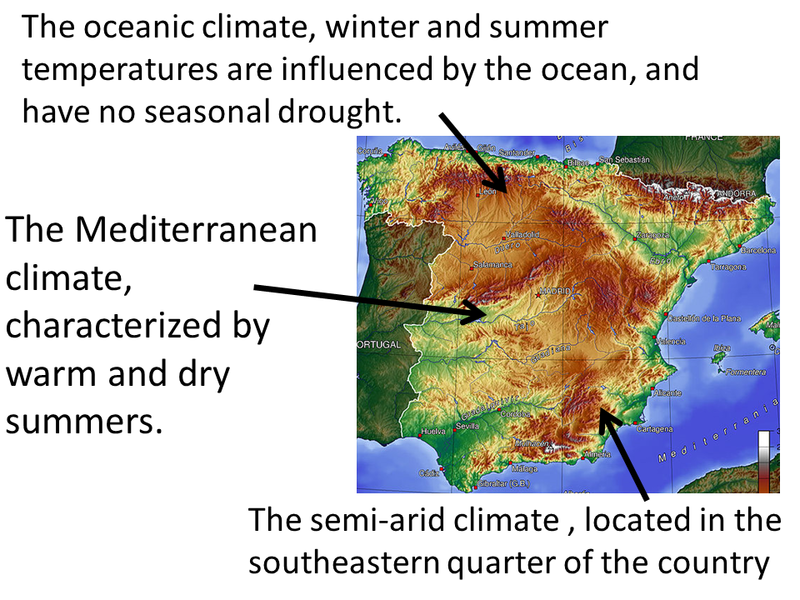 First, you may not know the climate so this is new learning. Second, you don’t know the language used to explain the content – a double whammy! The photo below shows a resource you are more likely to encounter. The language (if you are an English speaker) is natural for you which leaves you to focus on the content alone. Language is a barrier to learning math. 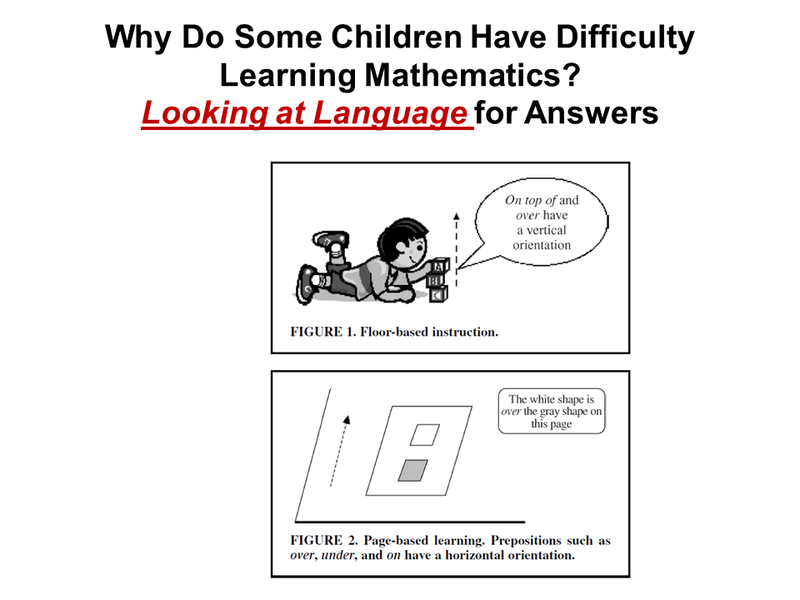 The photo below is an excerpt from “Why Do Some Children Have Difficulty Learning Mathematics? Looking at Language for Answers” by Joseph E. Morin and David J. Franks. It shows another element to the language barrier in learning math. In this example the term over is used to describe the location of the the white square (bottom frame) but the students understand over as a term used in 3-dimensional space (top frame). The misunderstanding of a single term can throw a student totally off in learning a new math topic. 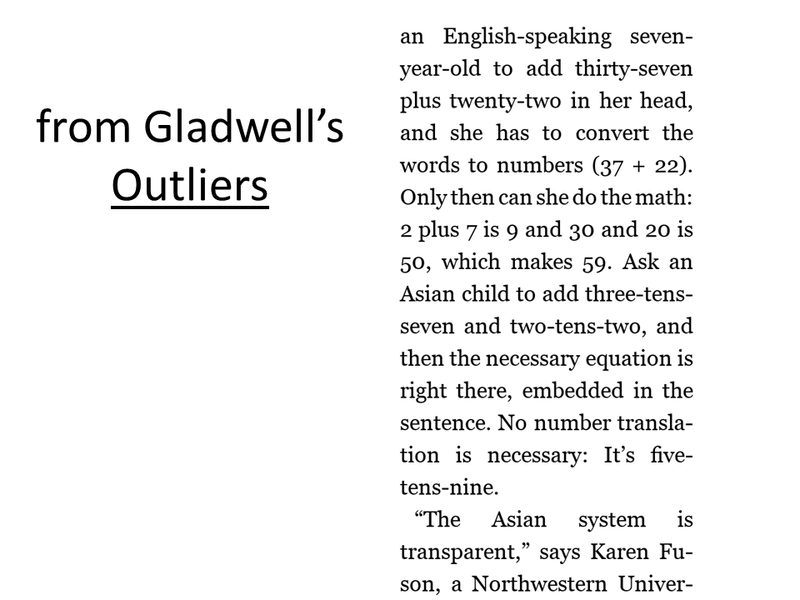 Below is an excerpt from Malcom Gladwell’s book Outliers. He explains that the languages of Math and English do not get along very well. “Thirty” has to be translated into the concept of 3 TENS. Compare this to Chinese and Math. The problem in Chinese is read as “three-tens-seven” which is already in Math terms. This extra step of translating is often a problem for our students, especially those with special needs. In teaching math the issue of the language of Math is an additional issue to address separately. I teach students to learn math in their own language (informal English, using manipulatives etc.) and after the concept is learned I show students the “mathy” way of talking about it. This follows the Concrete-Representation-Abstract (CRA) approach to presenting math.